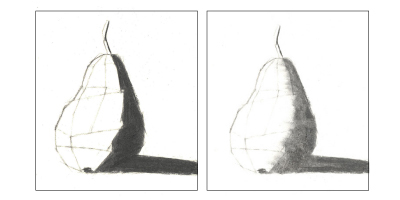 One of the key elements of drawing from life is finding the underling structure of the subject your are drawing. 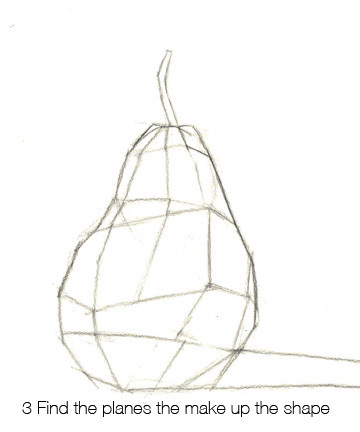 This means looking for the basic shapes first, then finding the surface planes and changes. Then refine those shapes to match what you see. 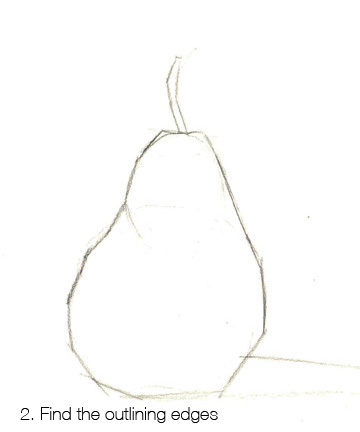 Today, I thought I'd use a pear as an example to use to look for an object's structure, because it simple enough yet has enough complexity to require us to look. Though, for this exercise any fruit will do. 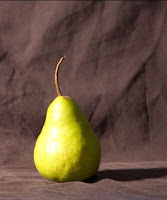 I simply like the pear because it is not just a round object, like an orange or even an apple. 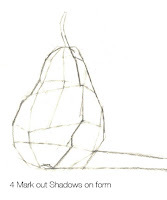 The shape gives us more to search for and analyse. Though you are more then welcome to use any object you like. 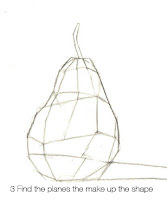 The first thing to look for is the simplest shapes you can see in the subject. 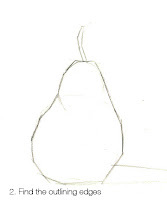 In this case a pear can be seen as a couple of circles or ellipses. You don't need to draw the ellipses just look for the shapes to guide you. Once you have found the simple shapes draw the outlining edges of shape of the subject. 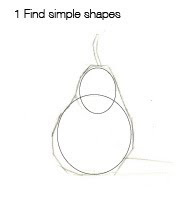 Use straight lines to keep shape clearly defined. We can always refine the rounded edges later. Once have the general shape. You want to start looking at the volume of the subject. The volume is just the form in three dimensions. To find the volume there are several approaches. The method we will use today will be looking for the surface planes of the form and where these planes change direction. This will guide us in developing the form. 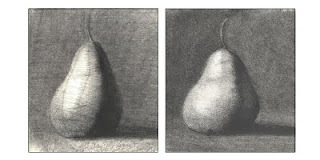 The planes can be thought of the flat surfaces of the object that gives shape to the particular area of the subject. Where two or more planes meet, the form is taking shape. The planes meet each other at various angles. This is what is referred to as the the plane change. The shift in surface direction can be thought of as a new surface plane. This helps us find the form by telling us what direction the surface is headed in relation to our view point. Finding the underling structure can be applied to any subject. 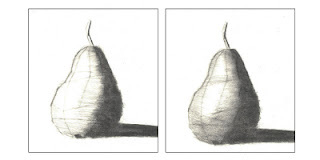 It is an important part of drawing as it provides a framework to build on that will provide a consistent drawing. 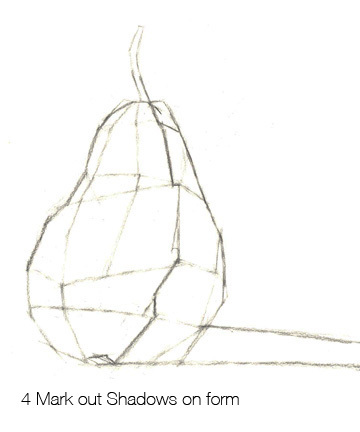 Later we look at how to use this type of structure drawing to inform how we render form (shade) the object. The rest is not part of the lesson but I thought you might like to see the process through to the end. This is undoubtedly one of the best art sites around. We are very fortune to have someone like you, sharing your knowledge with the world. Thank you very much! Thank you. That is very nice of you to say. I enjoy creating for this site and I am glad you find it beneficial.